Item # 302323 Stash Points: 2,499 (?) This is the number of points you get in The Zumiez Stash for purchasing this item. Stash points are redeemable for exclusive rewards only available to Zumiez Stash members. To redeem your points check out the rewards catalog on thestash.zumiez.com. Complete your casual outfits with the California Yellow T-Shirt for kids from adidas. 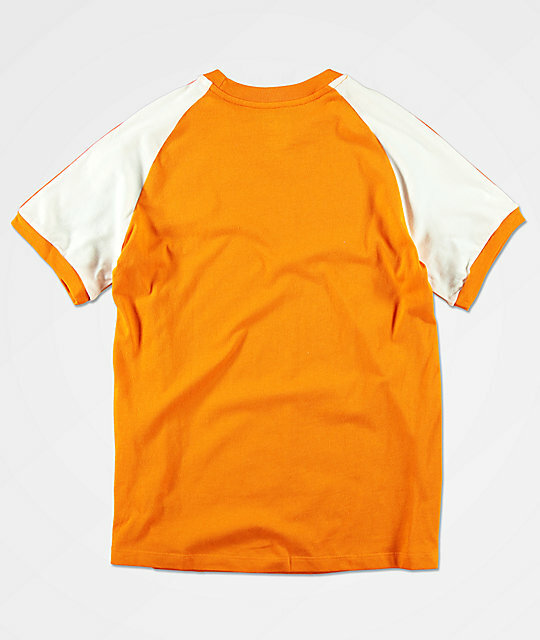 This youth-sized tee offers a relaxed fit and comes in a vibrant orange and white colorway for a unique style. 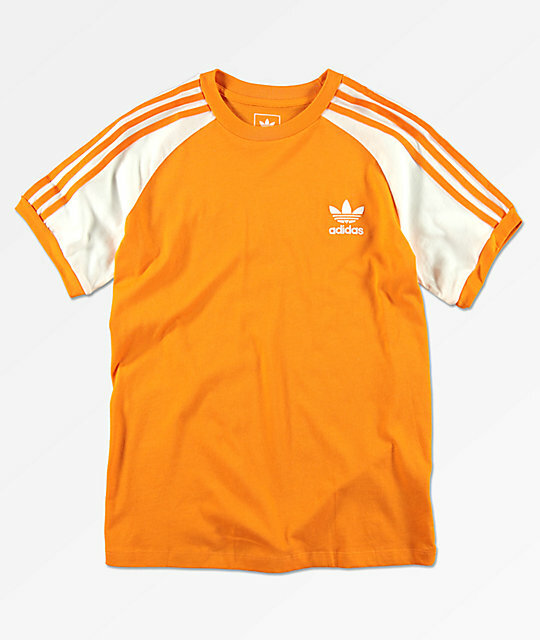 Complete with adidas' three stripe details on the shoulders, this short sleeve tee offers a signature style. Boys California Yellow T-Shirt from adidas. Embroidered adidas Trefoil logo graphic on left chest. adidas 3 stripe appliques on the sleeves. Image displays size a Youth Large. 25" (63cm) from top shoulder seam to bottom hem.